The EUR/USD currency pair is still being corrected. Currently the price is testing the descending channel’s upper border, we should expect it to rebound from the border and start moving downwards. The RSI indicator is also testing the resistance line, which is a good signal to sell the pair. If Euro continues growing up, this case scenario will be cancelled. Pound has left the descending channel at the H1 chart, however, on major charts the pair is still inside the descending pattern. 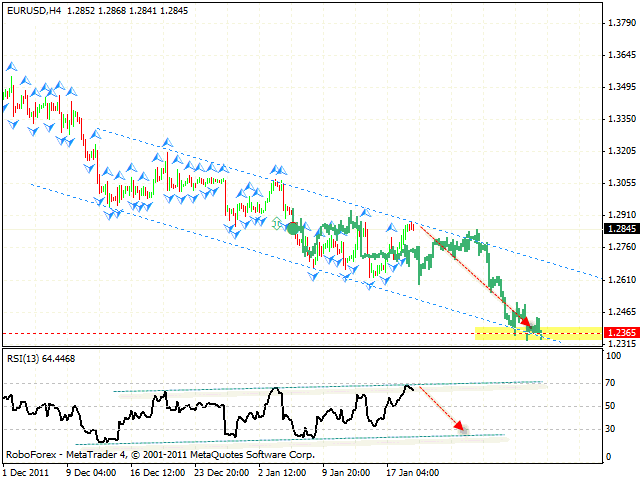 The target of the pattern is the area of 1.5065, one can consider selling the pair with the tight stop. 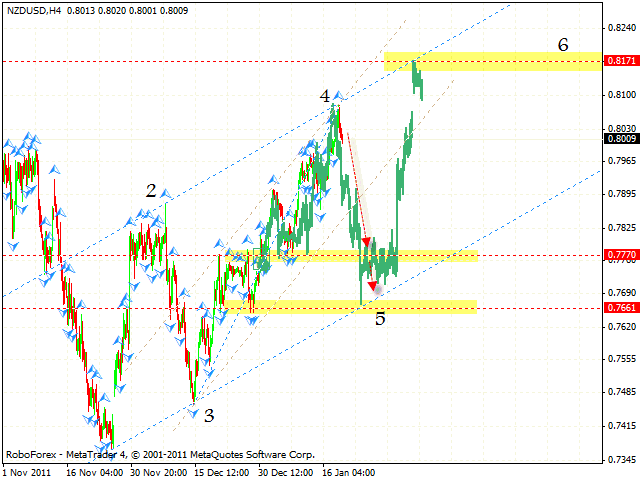 New Zealand Dollar has tested the area of the 4th pivot point. Currently we should expect the start of the correction to the channel’s lower border. 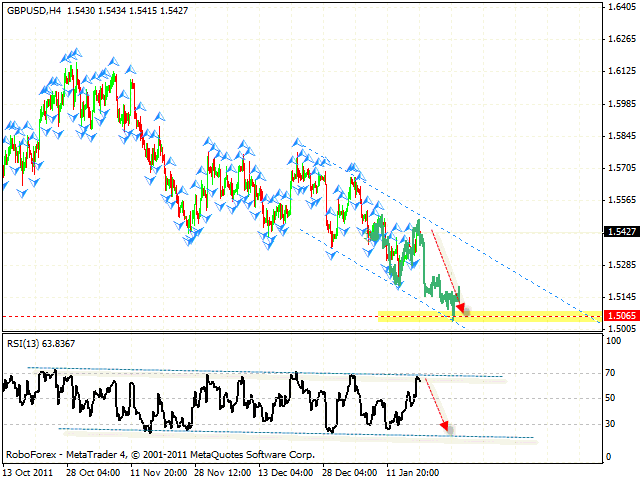 The closest target of the fall is the area of 0.7770, where one can consider buying the NZD/USD currency pair. 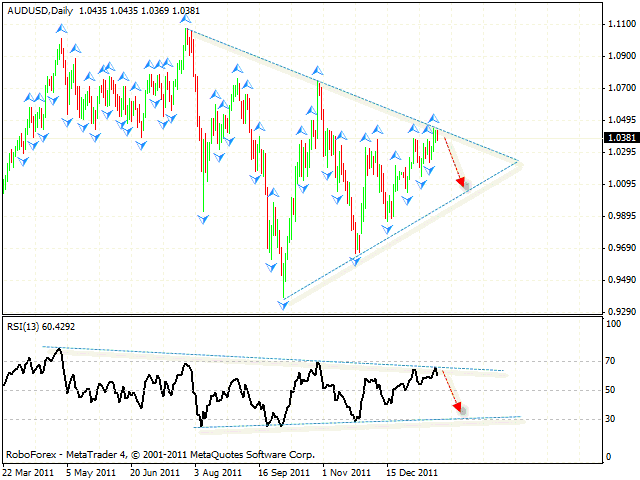 At the daily chart the pair is moving inside “triangle” pattern. Currently the price is testing the pattern’s lower border, one can consider selling the pair with the tight stop. The test of the trends descending line at the RSI is an additional signal to sell the pair, here there is also some potential for the price to fall. If the price leaves “triangle” pattern, this case scenario will be cancelled.